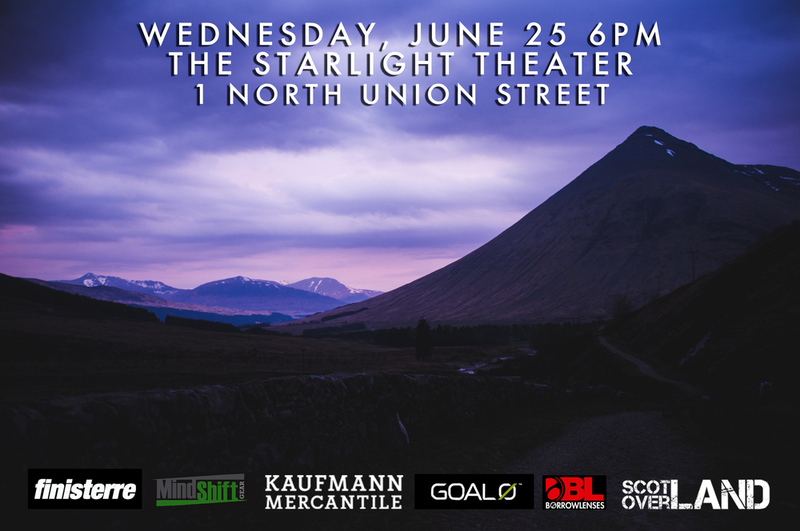 Explore Scotland through the eyes of Nantucket Photographer Jonathan Nimerfroh as he shares stunning images from his recent journey to Scotland on Wednesday, June 25th at 6 pm at the Starlight Theatre and Cafe. Jonathan’s two-week Scotland journey consisted of a 96-mile trek along the West Highland Way, a trail in Scotland that twists along fjords and snow capped mountains, dotted with sheep and the occasional whiskey distillery. Upon completion of this scenic hike, Jonathan was outfitted in a fully equipped 2014 Land Rover Defender 110 with which he “rovered” to the Scottish Isles of Skye and Lewis. There he searched for coldwater surf (northern Scotland’s best kept secret is its consistent stony beach swells) and enjoyed the clearest blue oceans one has ever seen.